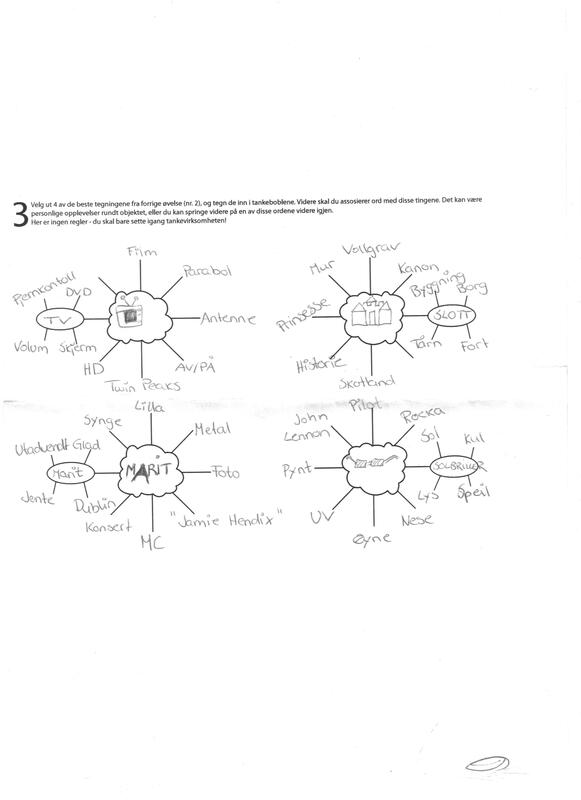 “In this learning activity, we were supposed to “solve” five tasks all linked to idea development methods. We were given five pieces of papers, each with different methods to finish. In each box, write down a word that you think is exciting in regards to the headline. Then use the words in a Wikipedia search in both English and Norwegian, to find new exciting words that represent a new company. For the first three lines, use 20 seconds to come up with drawings around the embedded symbol. Symbols can also be abstract. For the next two lines, use 40 sec - and 60 sec for the last line, doing the same as explained above. 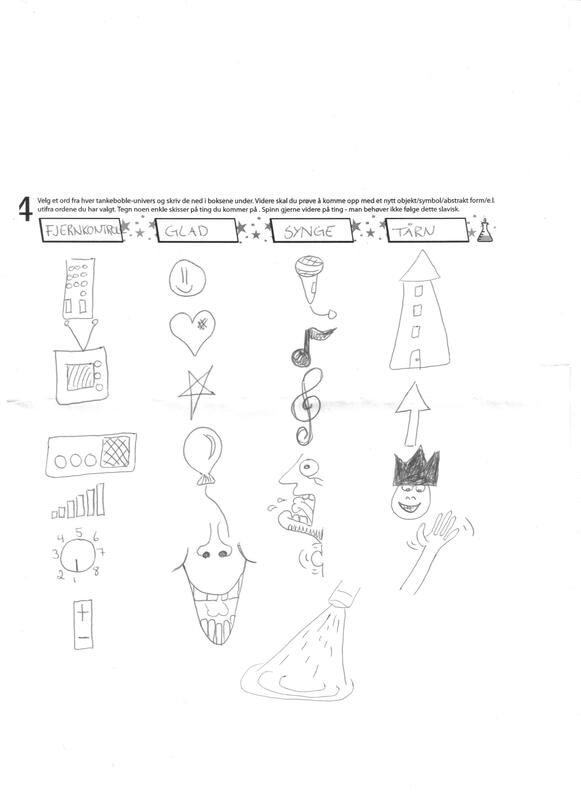 Pick your top four drawings from previous task, and draw them into the clouds. 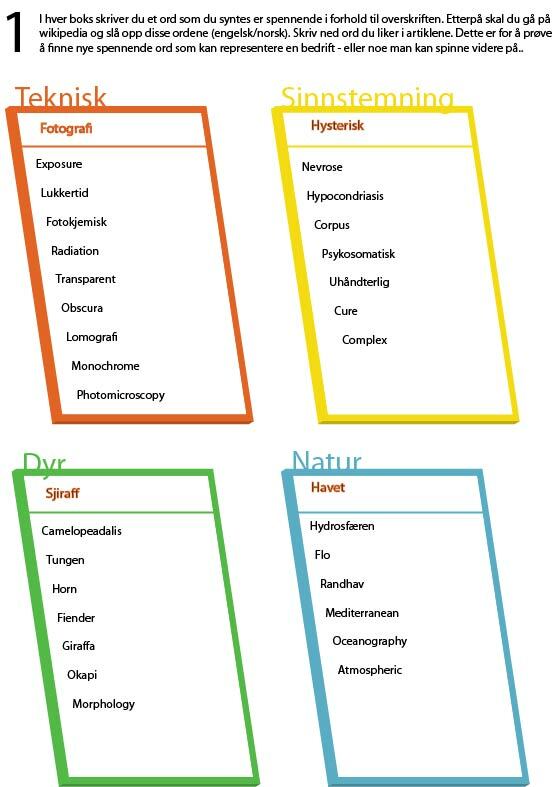 Use the mind map to associate words with each drawing. Pick out one word from each cloud in the previous task, and write them into the boxes. 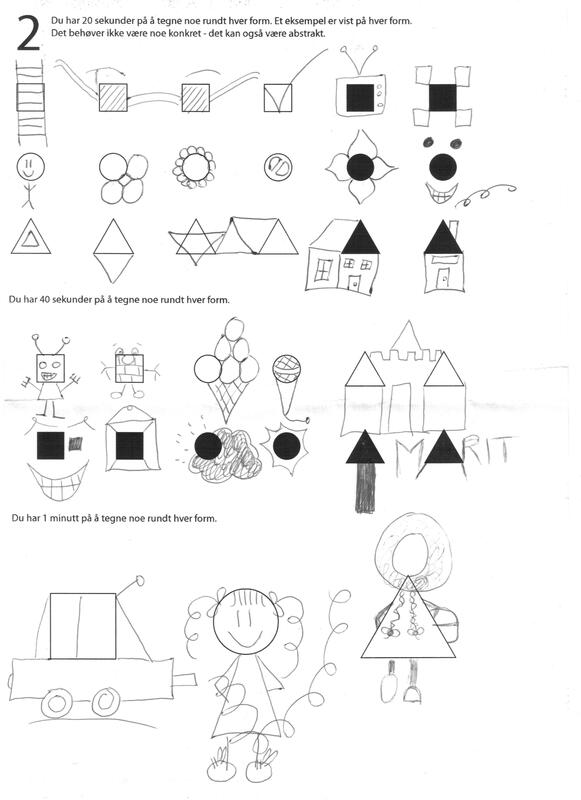 Come up with new objects, symbols, abstract shapes etc. from the words you've chosen. Step 5 - the big finale. Sketch down any new ideas you might have come up with during this task. Pick out the top five and present it on your blog. Basically, we were supposed to be inspired to come up with four different suggestions for a product name and logo design during this five step task. We were the given the option to choose between chocolate, ice cream/pops-tickles, a cereal or a sports drink. I chose an ice cream at the very beginning, as I’m already working on a chocolate design for our next mandatory hand-in. I think this could be a very useful idea development method in the future, if you have some sort of idea of what direction you want your design to take at the very start. The Wikipedia task was probably the least useful to me – as it was more of a random word pick. 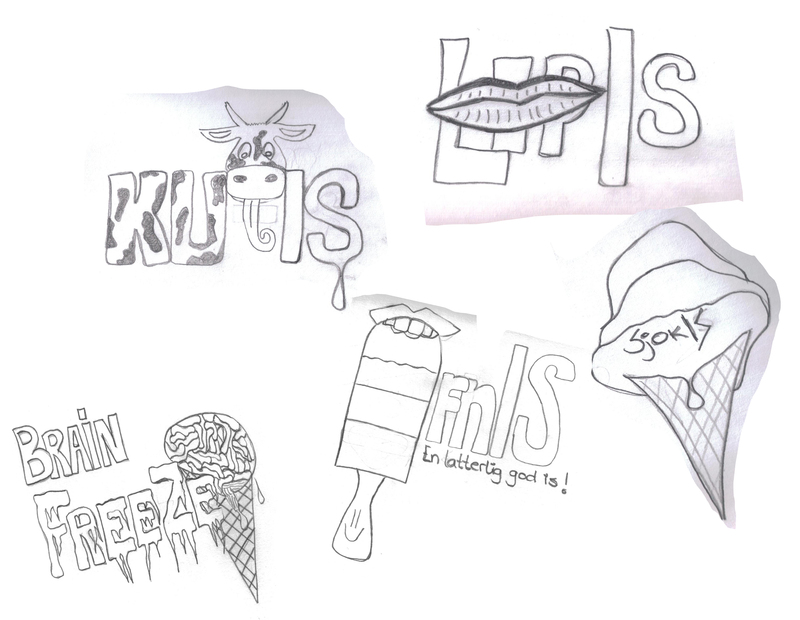 Ice-cream logo in my next post.